IDE provides the engineering expertise needed to develop a new product or improve an existing one. The following steps define the typical product design process. 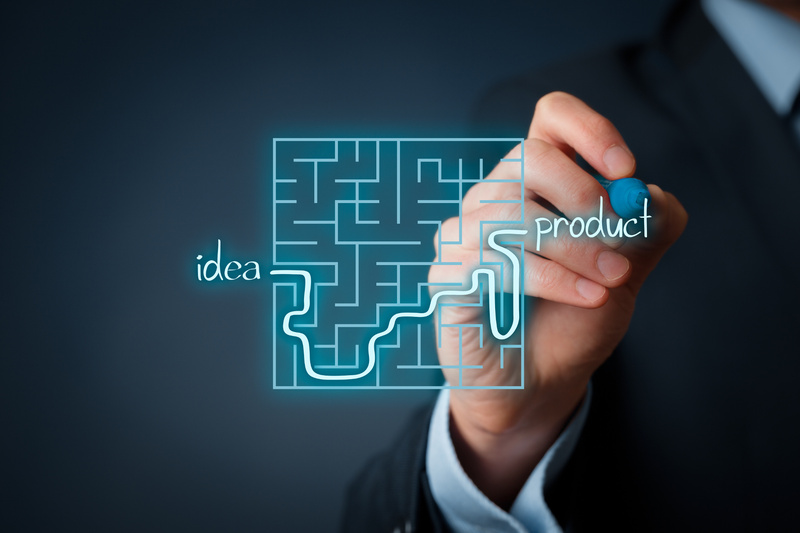 The first phase usually begins with an idea for a new product. A product specification is developed to define the functions and performance criteria for the product. Depending upon the product, one or more industrial design concept sketches are created to define the visual appearance features. The second phase is to develop a design based upon the concept model and specification. The design is developed using either Pro/Engineer or SolidWorks which are three-dimensional CAD programs. CAD models are created for the individual parts and for the assemblies which show how the parts go together (see examples). This virtual prototyping allows for interference checking and range-of-motion studies before any physical parts are made. The CAD models are built to be robust to ensure minimal impact by downstream revisions. Parts are designed with consideration to how they will be manufactured, assembled, and used. As the physical shape is being developed, the design is evaluated from an analytical standpoint to ensure there will not be any performance issues. The analysis to be performed varies depending what is being designed, but may include things such as stress or thermal analysis. These can be hand-calculations, or if needed, FEA. Once the design is completed, prototypes can be built. Plastic injection molded parts can be quickly simulated by stereolithography (SLA) or other means. If multiple parts are required, a silicon mold can be made and urethane cast parts can be made. For fabricated parts, detail drawings are created and sent to machine shops. Component parts are assembled and tested to ensure the product meets the performance specification. If changes are required, the CAD models are updated and the prototype phase is repeated. The final phase is to release the product for production. A documentation package is delivered which includes detail drawings of custom components and assembly drawings with bill of materials. For tooled parts, CAD data can be exported in a variety of formats to enable tooling directly from the CAD database to ensure accuracy and expedite the tooling process. Please contact us to discuss your product design and development needs.